With the ending of every era, a brand new one begins. And that is exactly what is happening during this NBA offseason. Since June, Kevin Garnett, Tim Duncan and Kobe Bryant all officially retired with Paul Pierce announcing on September 26 that he will retire after the 2016-17 season. None of the three retirees made as big of an impact on the court this year as their used to, (with the exception of Bryant’s 60 point output in his final game) so none of their respective teams will be losing crucial production. Nonetheless, it is hard for NBA fans too imagine a season without KG, Kobe, Tim Duncan and Paul Pierce going at it on the hardwood, as they all have been in the league long enough for an entire generation of young people to make their names synonymous with the NBA. All four have had Hall of Fame NBA careers and impacted the game in such a significant way. 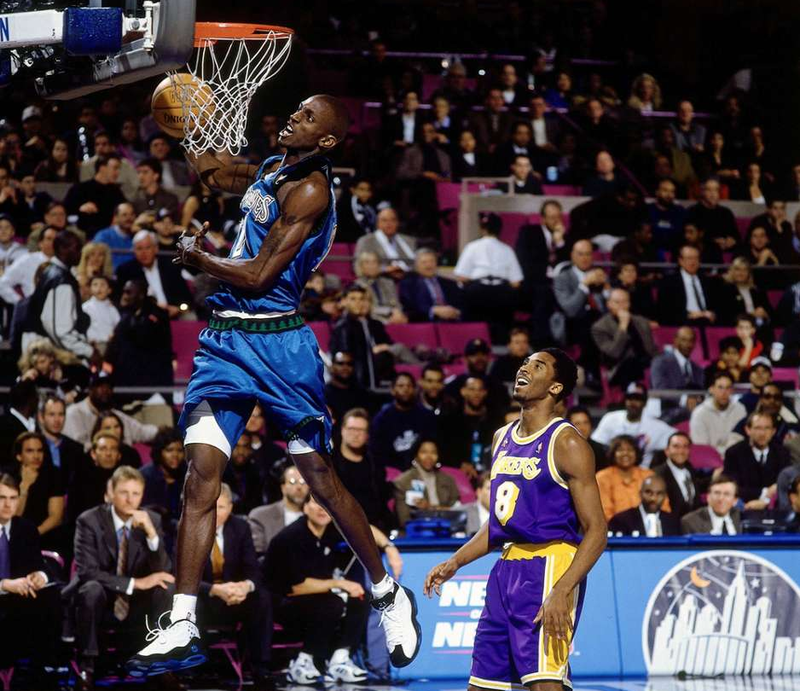 In 1995, a wiry, long kid standing at 6’11 named Kevin Garnett was drafted to the Minnesota Timberwolves straight out of Farragut Academy in Chicago, Illinois. Being the first player to be drafted out of high school too the NBA in over 20 years, he was definitely a prize that many teams wanted. He lived up to the hype, since he touched the court he reinvented the Power-Forward and Center positions. Unlike many big men before him, he stepped out of the paint and shot jump shots, paving the way for other big guys like Dirk Nowitzki to do the same after many big guys had been making their living getting layups and dunks for decades. He also brought a toughness and competitiveness to the sport that was second to none. Later on in his career, he won a championship with The Boston Celtics, solidifying him as one of the greatest Power Forwards ever. His ‘08 Celtics team is regarded as one of the best teams ever and their “Big 3” boasted KG, fellow future Hall of Famer Ray Allen and the next man on our list. Paul “The Truth” Pierce was drafted by and spent most of his career with the Boston Celtics. Pierce is known for reviving the Celtics after the long drought of competitiveness after legends Larry Bird, Robert Parish, and Kevin McHale moved on from the team. Along with that ‘08 title, Pierce is also a 10-time NBA All-Star. Tim Duncan, who is in the conversation as the greatest power forward ever, was the “anti-Garnett” in emotion but his play spoke very loudly. 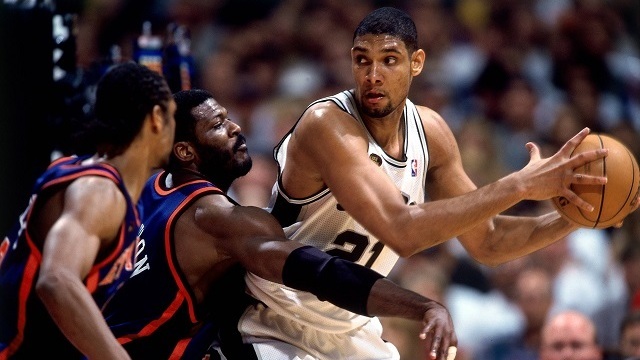 “The Big Fundamental” was drafted by the Spurs in 1997 and, since day one, Duncan impacted the league immediately with his use of the backboard and his low-post skills, making him very difficult to stop. During the course of his career, Duncan won five championships with the Spurs and also made 15 all-star game appearances. Last is Kobe “Bean” Bryant. Bryant is known for being the next in line of great Lakers and was the next Michael Jordan in many eyes. Bryant was drafted straight from Lower Merion High School in 1996. He had been with the Los Angeles Lakers for 20 years where he won five titles and revived the heated Celtics/Lakers rivalry during the KG and Paul Pierce era. His game is basically a mirror of Jordan’s, who is considered to be the best player ever and that places Bryant up there with the greats. With these legends gone, many are unclear what this new “big three”–oriented NBA will look like this season with the addition of new-age players such as point-forward Ben Simmons and the uber-athletic talent of Andrew Wiggins.What made these players different is that they all had their own identity coming into the league; they broke the mold that was placed before them and created a new one before the age of teaming up with other star players in their primes. This upcoming season will truly be “out with the old and in with the new” as we won’t find players with intensity like Garnett, a killer instinct like Bryant, swagger like Paul Pierce and professionalism like Tim Duncan. We can only wait until October 25th to find out “who’s got next”.